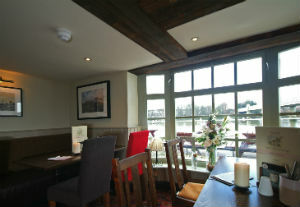 Welcome The Bulls Head is now open following refurbishment. Come in and see what we've done with the place! About Us Sometimes you know just what you want; great pub food cooked with care. Our new menu is full of the timeless dishes you know and love. It's time to enjoy hearty portions, big, bold flavours and traditional pub dishes served with the occasional twist. Come and join us and rediscover your new favourite. Our Services As a Chef and Brewer pub restaurant, the Bulls Head pub in Chiswick has a friendly and welcoming team who are ready to create the perfect experience for you in a lovely environment. Our freshly cooked traditional pub food is always comforting and our daily changing specials make our menu really exciting. Book your table at the Bulls Head pub online today. Traditional Sunday Roasts A traditional Sunday roast is a great way to spend Sunday lunch time and at Chef and Brewer we want to make your Sunday roast one to remember. Our traditional Sunday roasts are available all day on Sunday and include a great selection of roast dishes. Join us on Sunday for a choice of traditional British roasts served with all the trimmings.